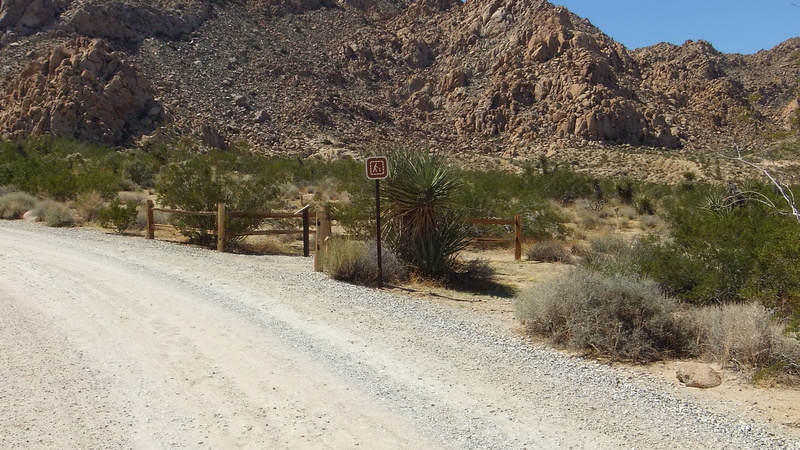 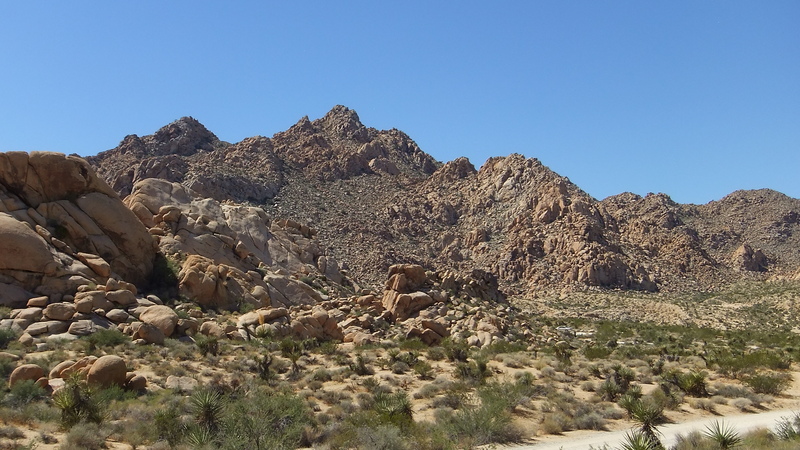 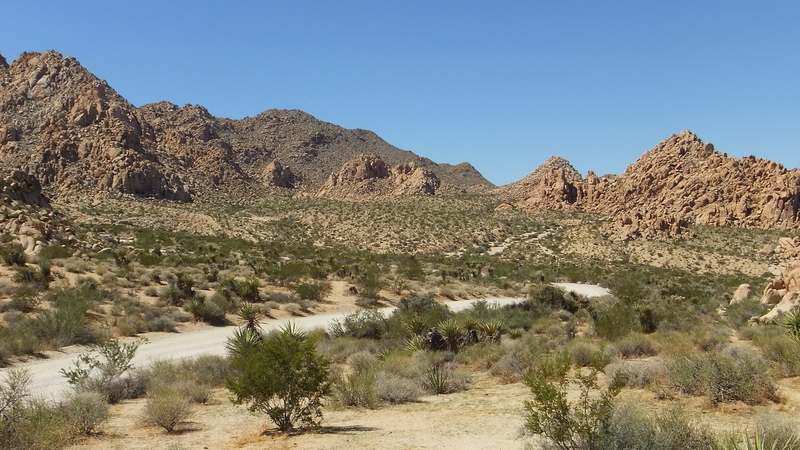 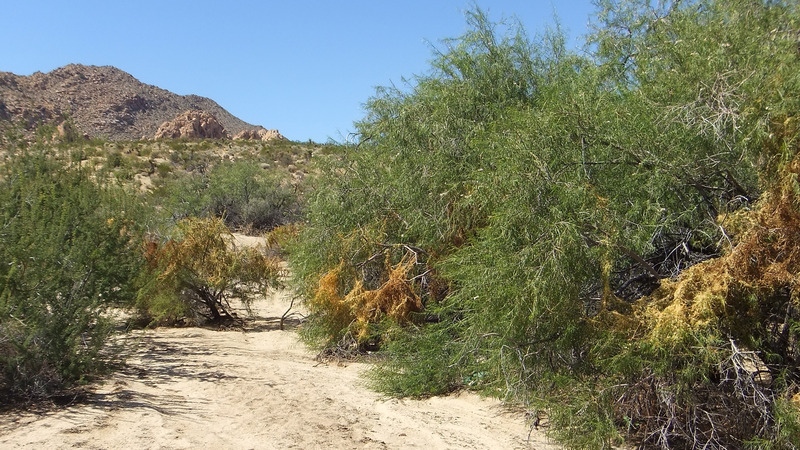 This brush-filled wash drains the North Wonderland down to Highway 62 several miles below in the rural areas of 29 Palms. 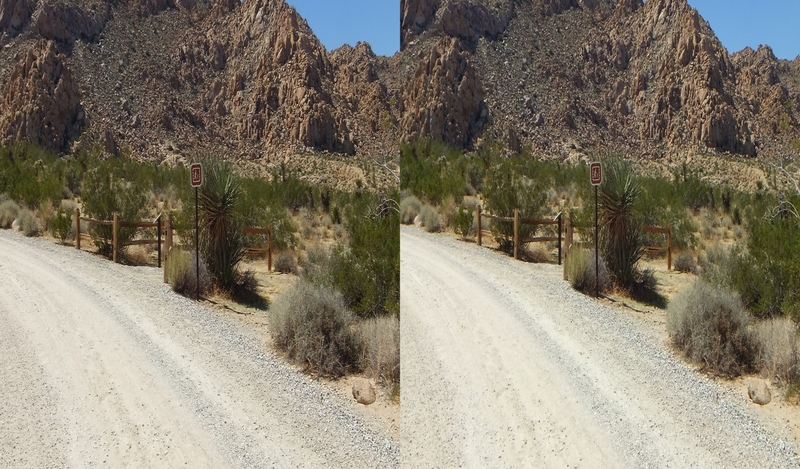 Trailhead a few steps from the end-of-road loop parking lot. 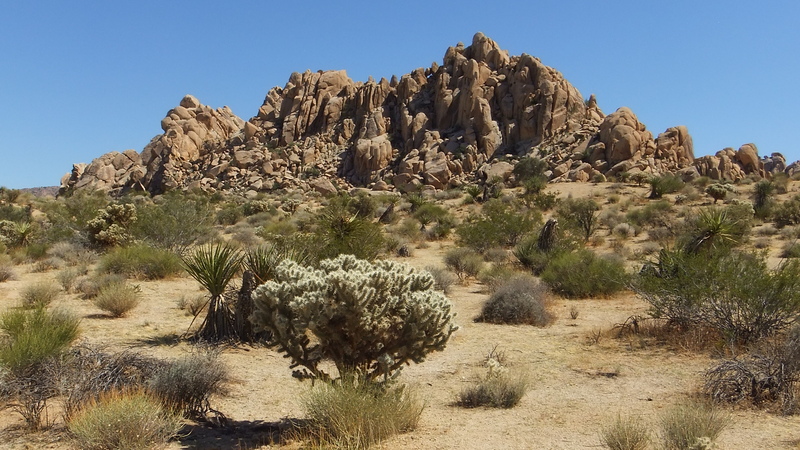 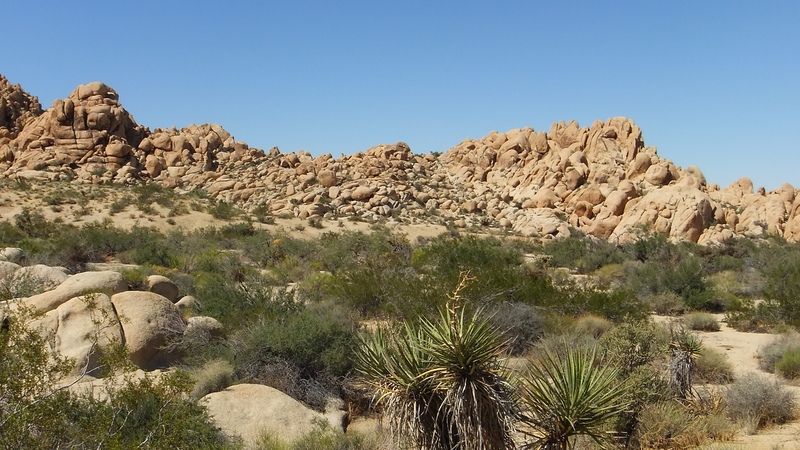 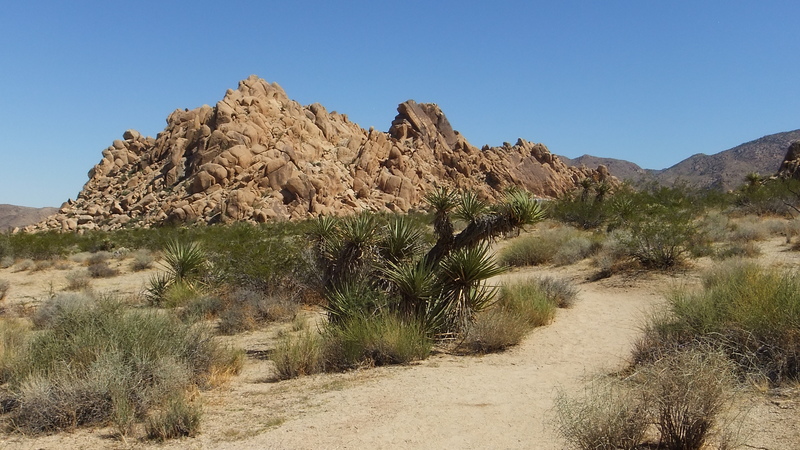 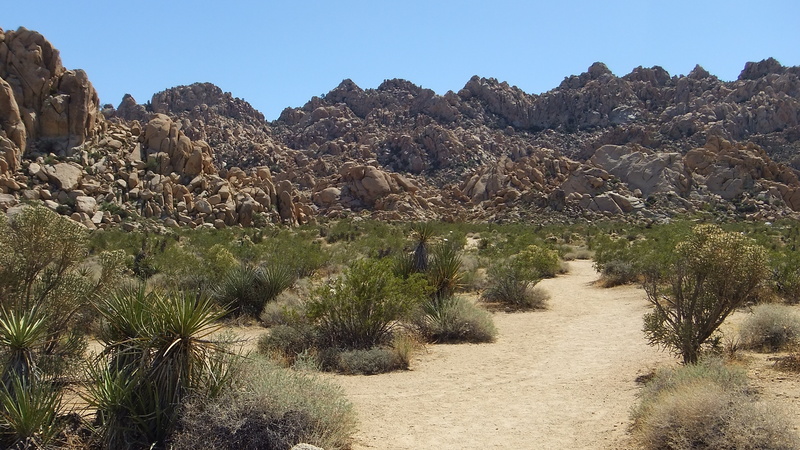 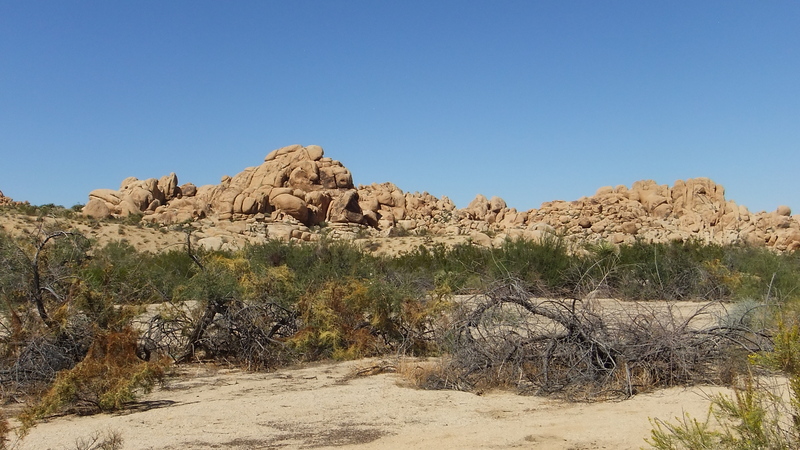 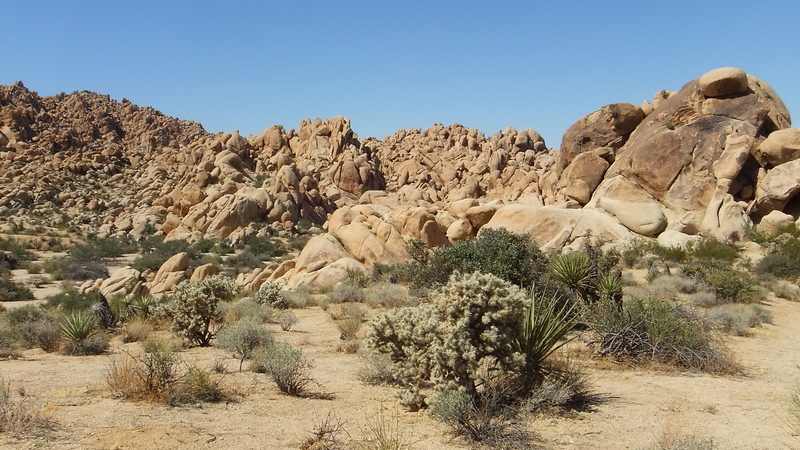 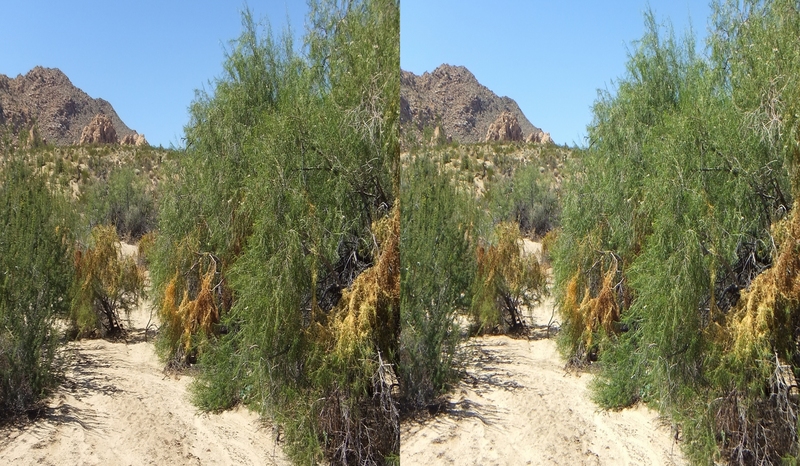 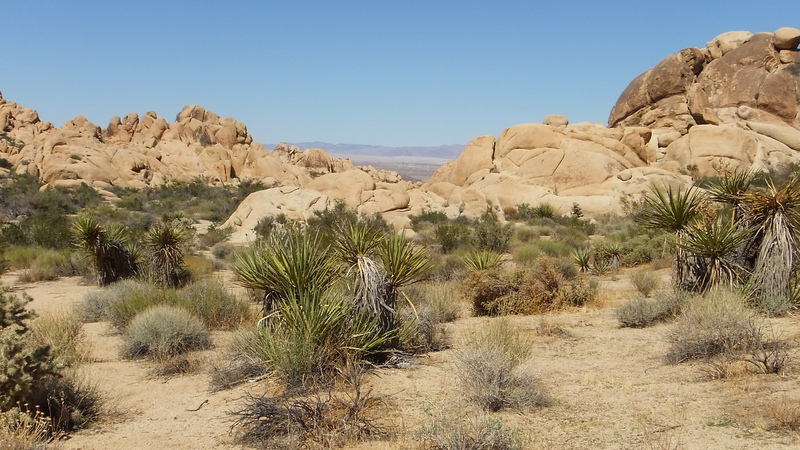 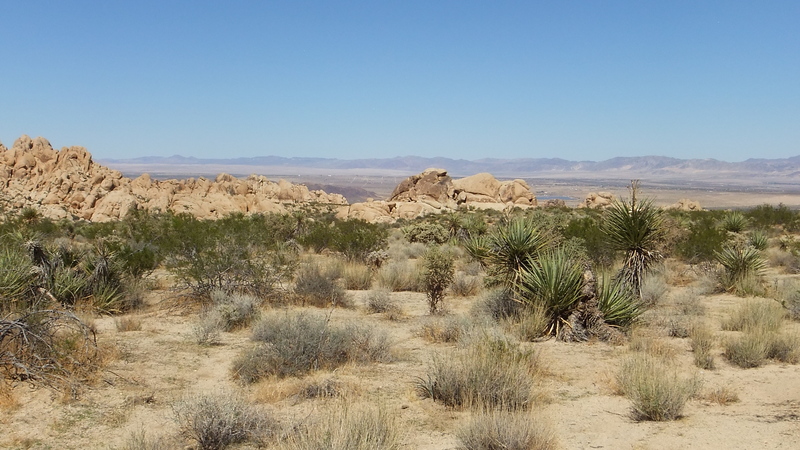 SUMMER THUNDERSTORMS AT JOSHUA TREE NATIONAL PARK nourish brief few weeks of returning summertime color when plants like the hearty creosote sprout tiny leaves and the bushier plants fill out. 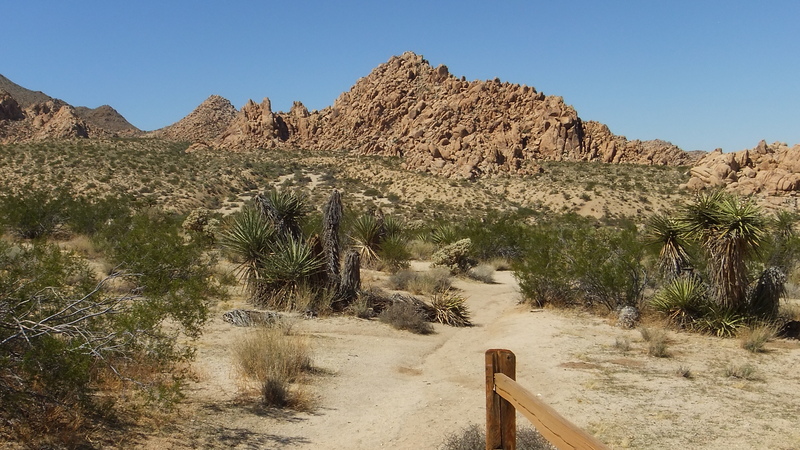 But all too soon, harsh winter returns to the high desert. 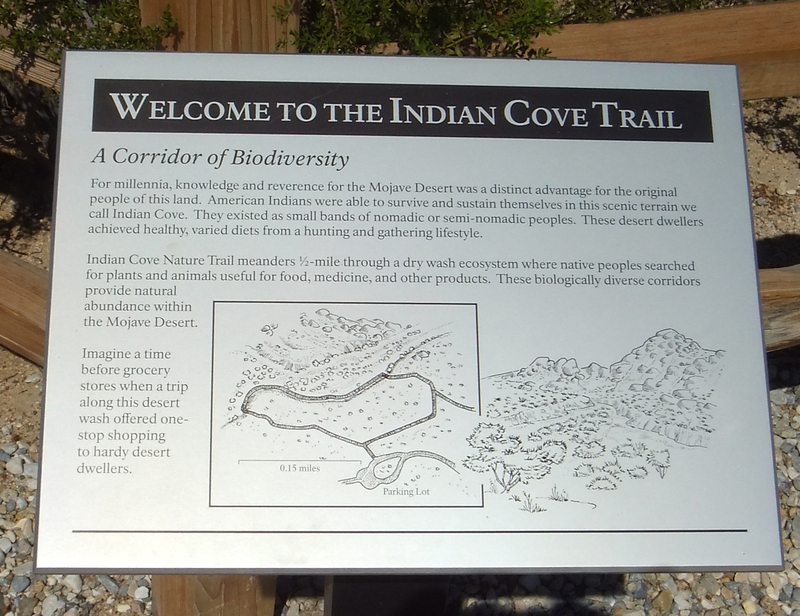 The ½-mile Indian Cove Nature Trail (el. 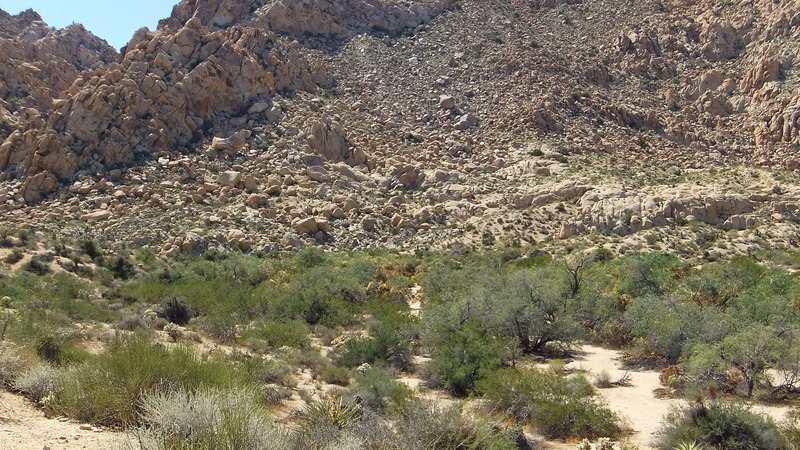 3350ft) passes through a brush-filled sandy wash that drains the Western Wilderness highlands of this large alluvial plain. 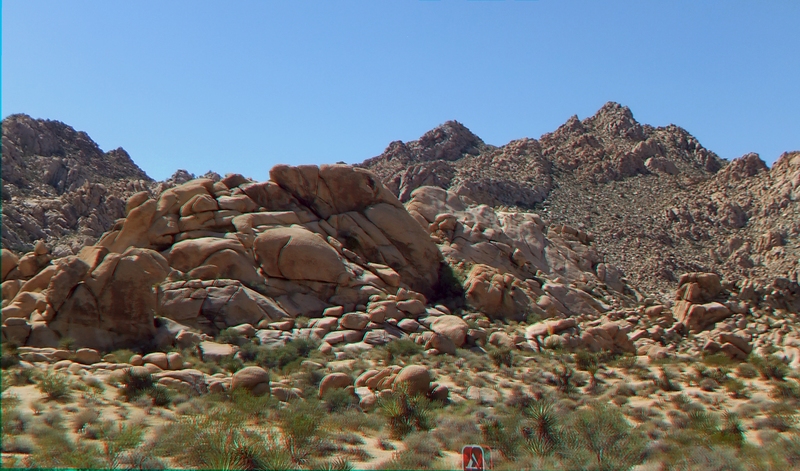 It then circles past the western edge of the Group Campground/Moosedog Tower hill, providing stunning visuals. 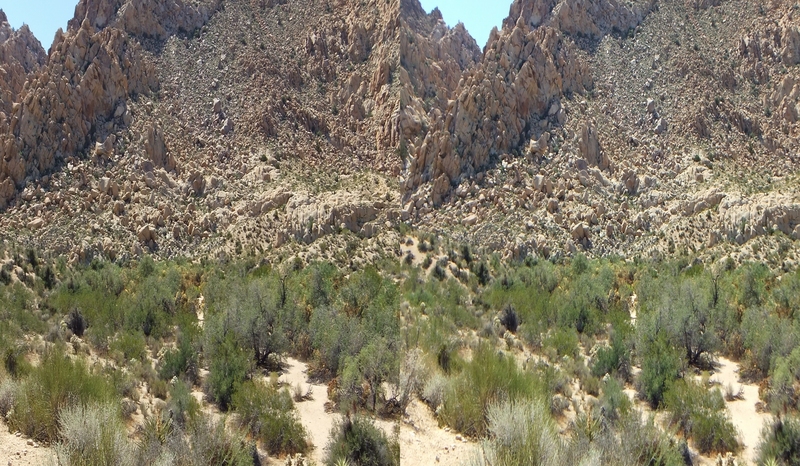 To the south rises the palatial wall where the northern Wonderland ends. 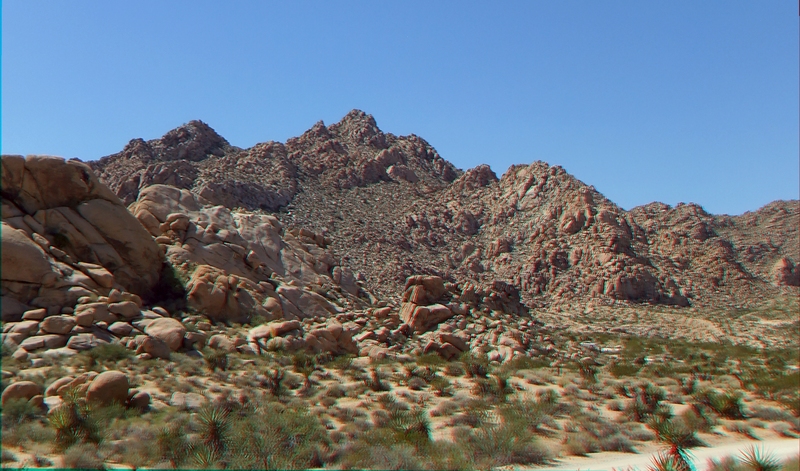 Almost too much for the eye (or the photographer’s lens) to capture in all its natural majesty. 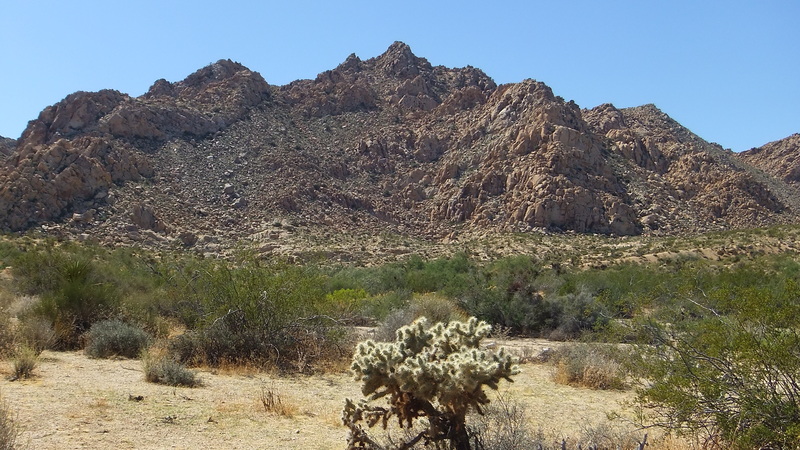 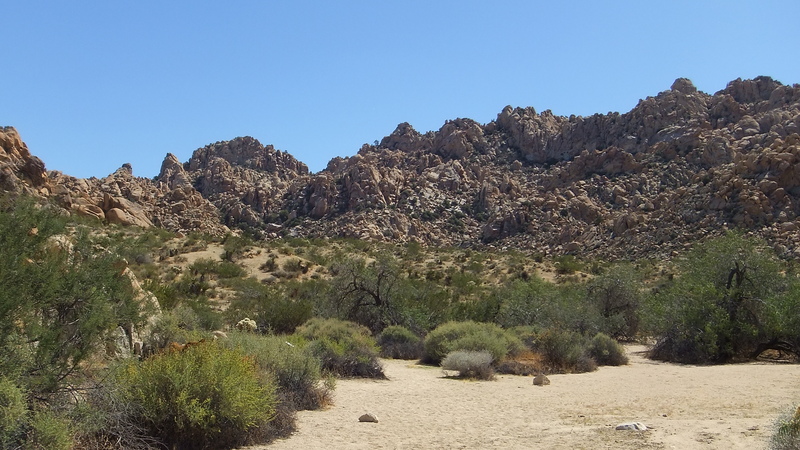 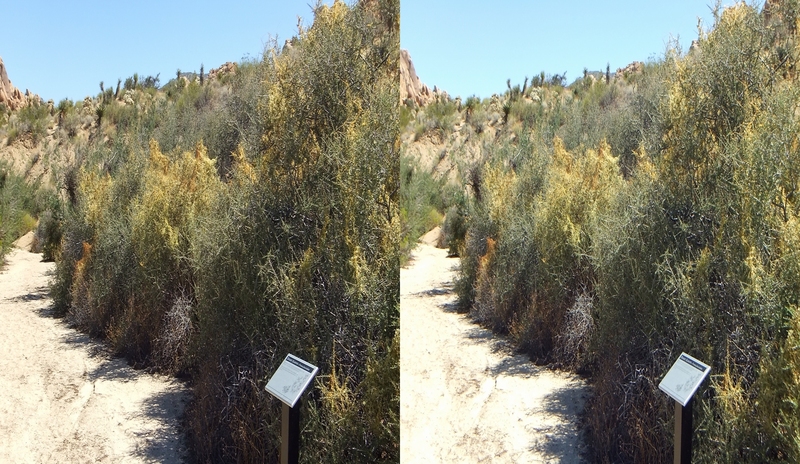 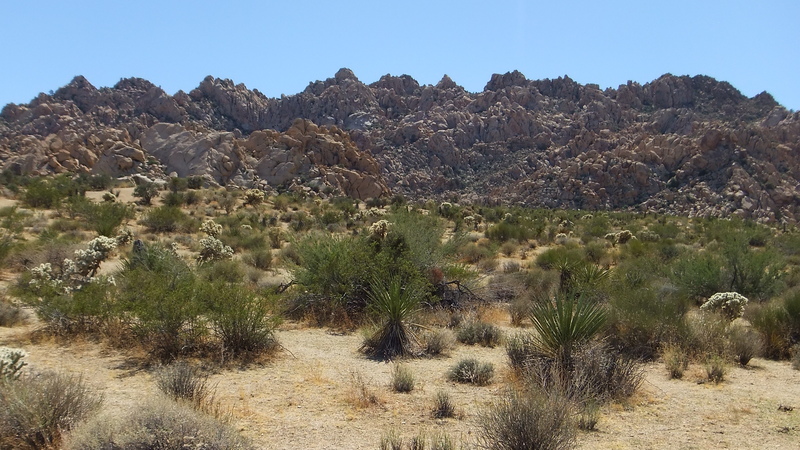 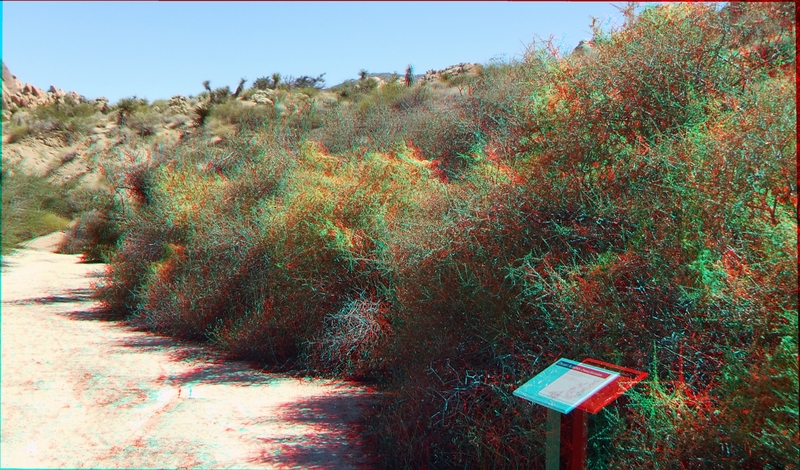 Thank you for visiting the Indian Cove Nature Trail experience in 3D a rugged, uncorrupted area west of the campground. 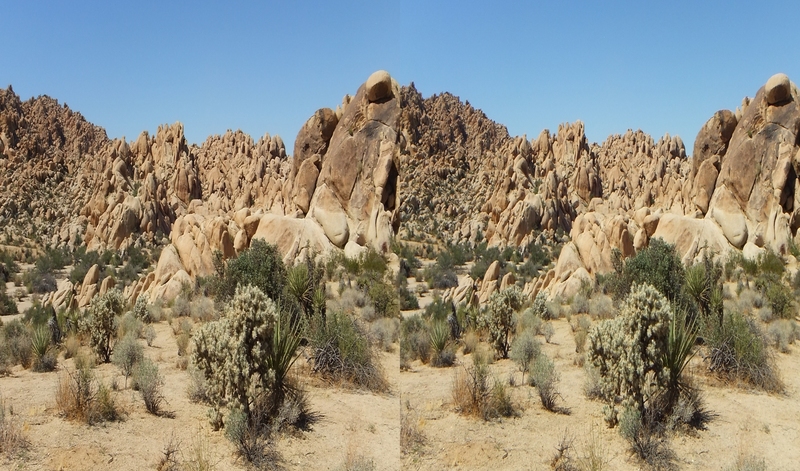 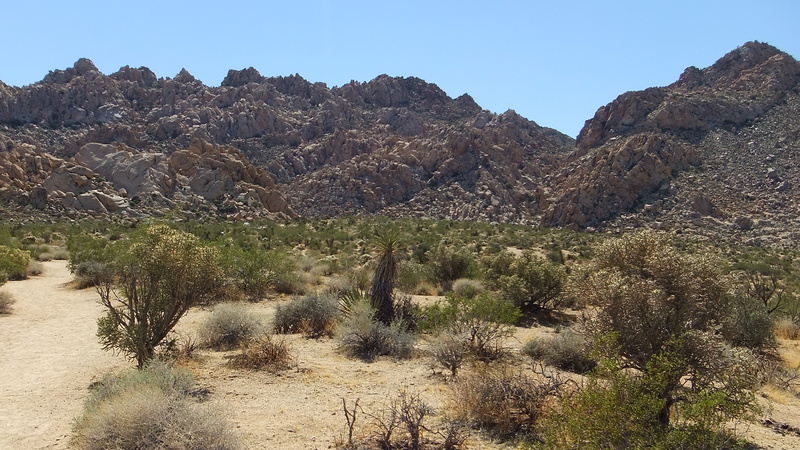 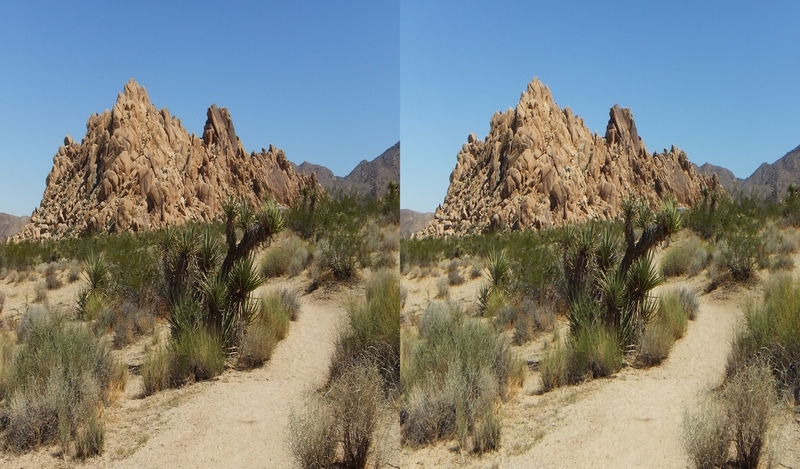 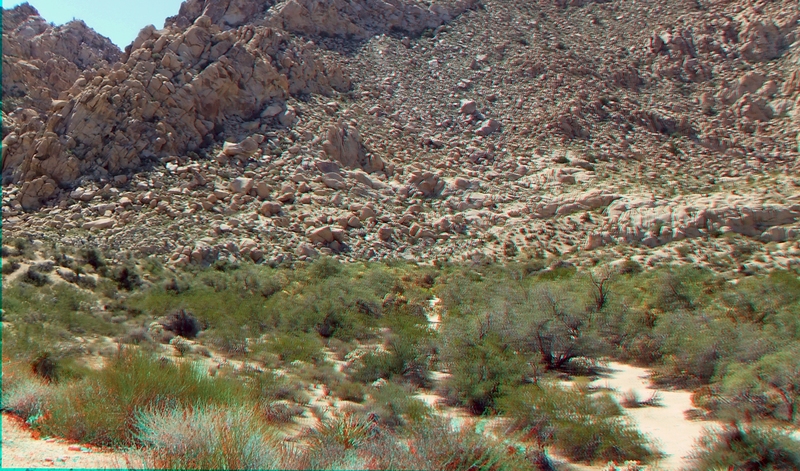 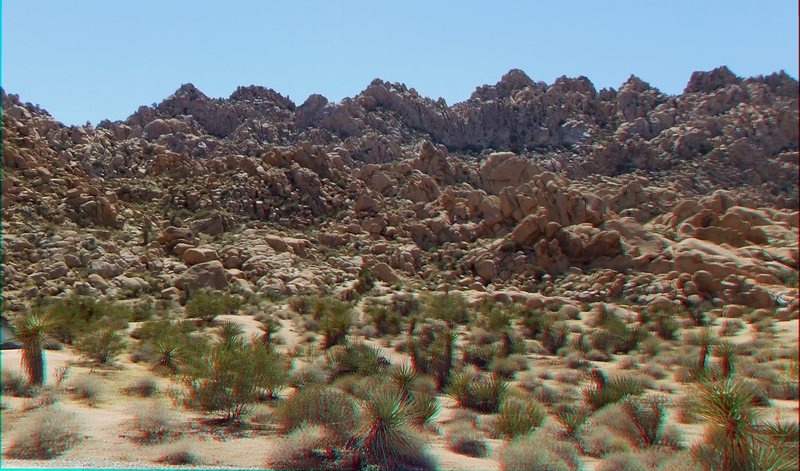 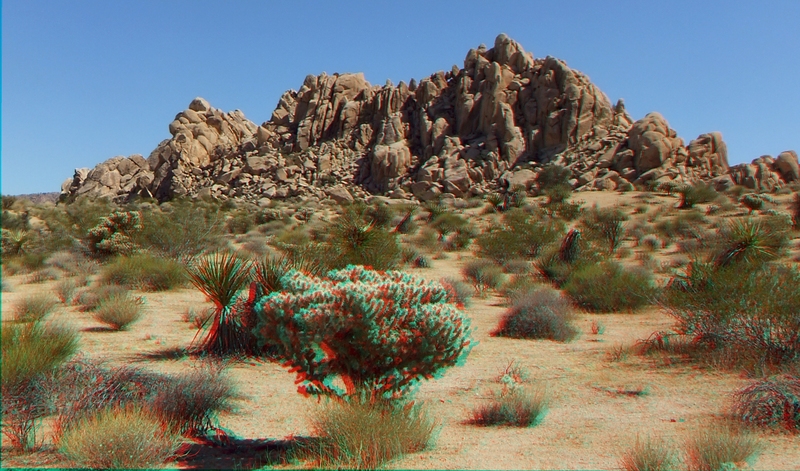 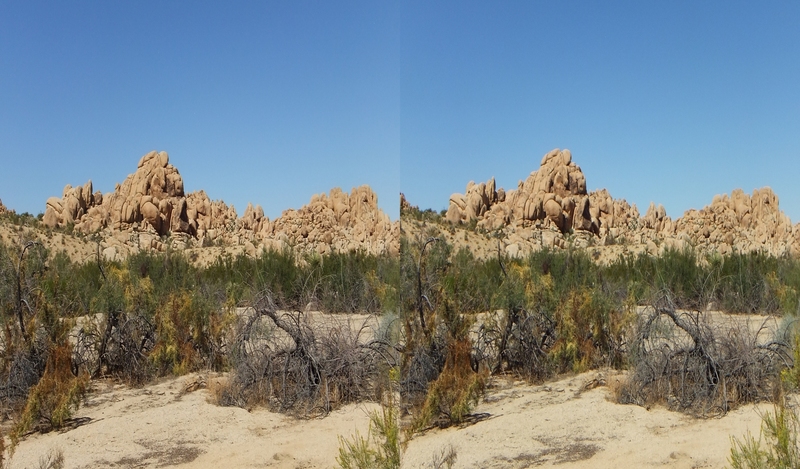 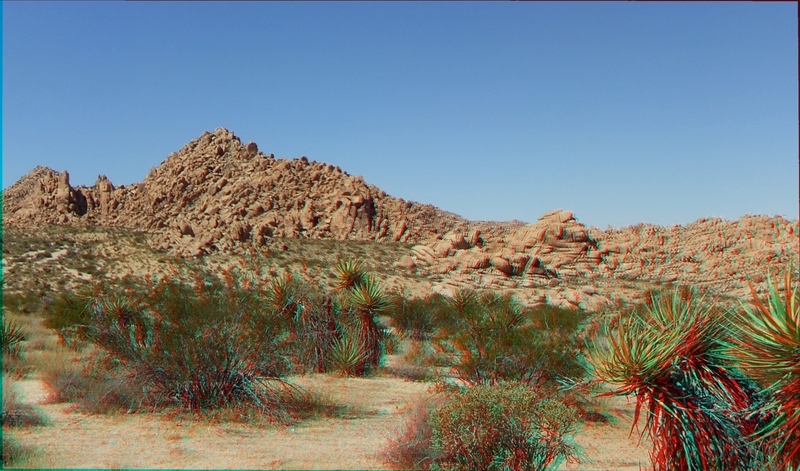 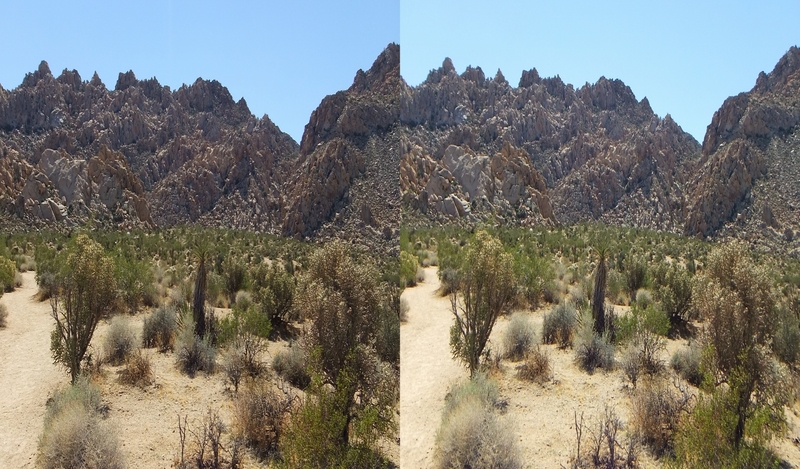 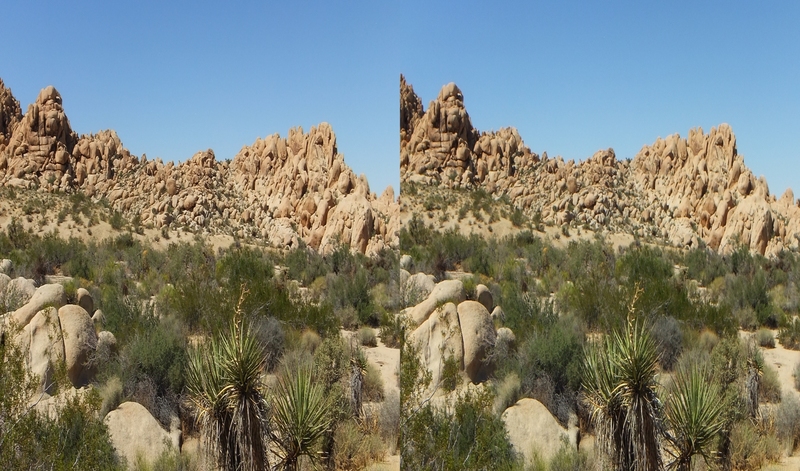 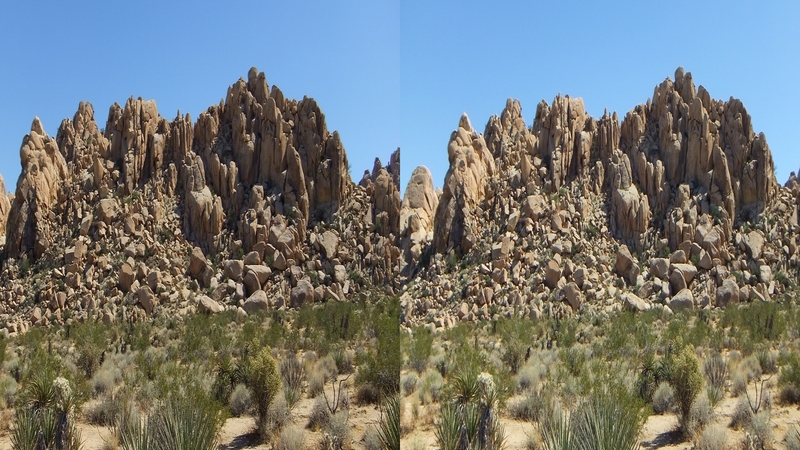 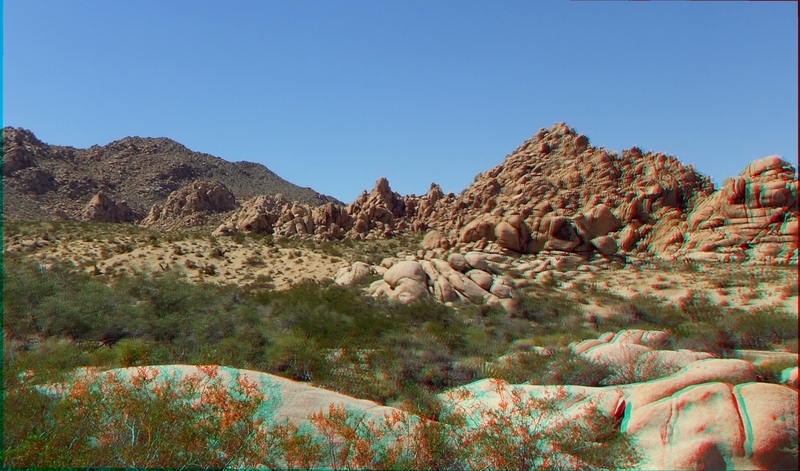 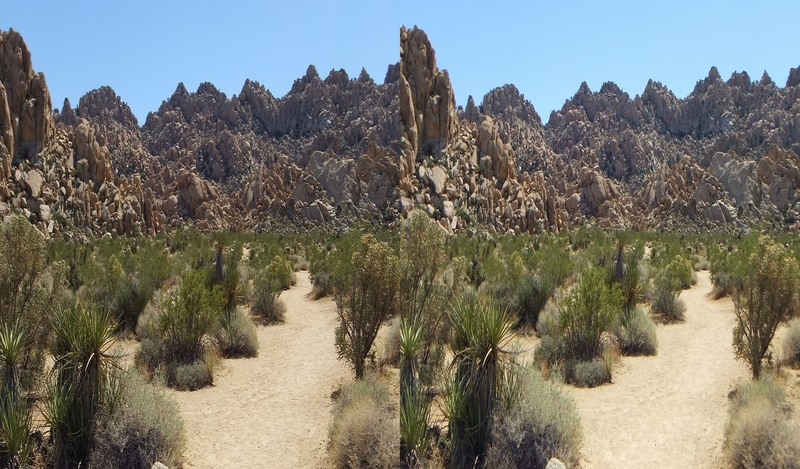 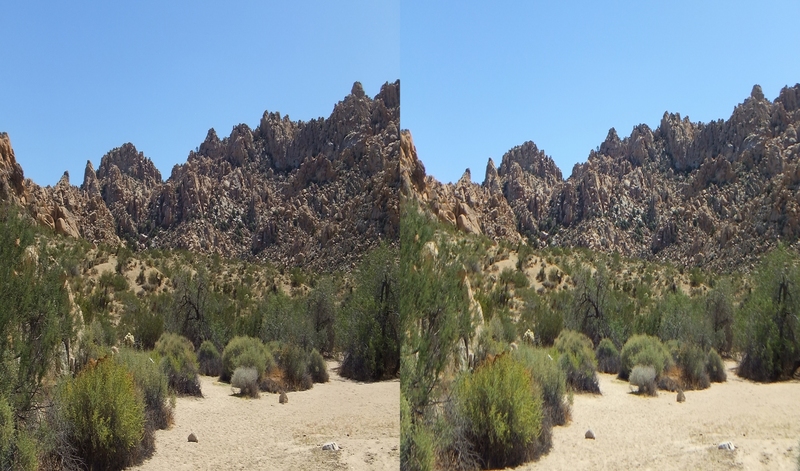 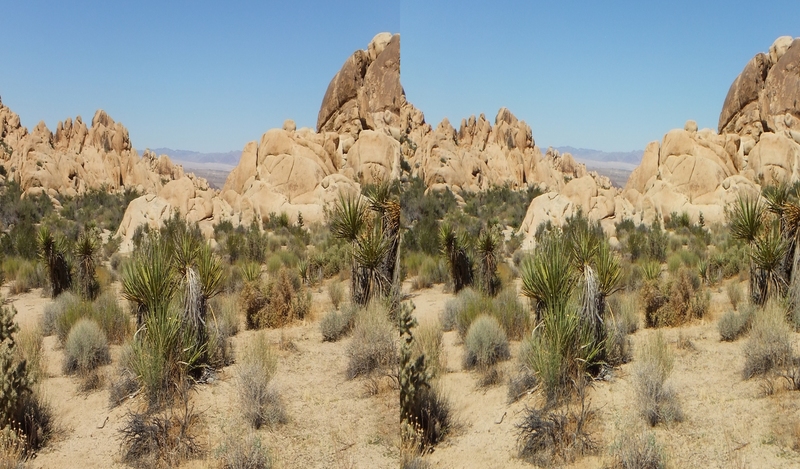 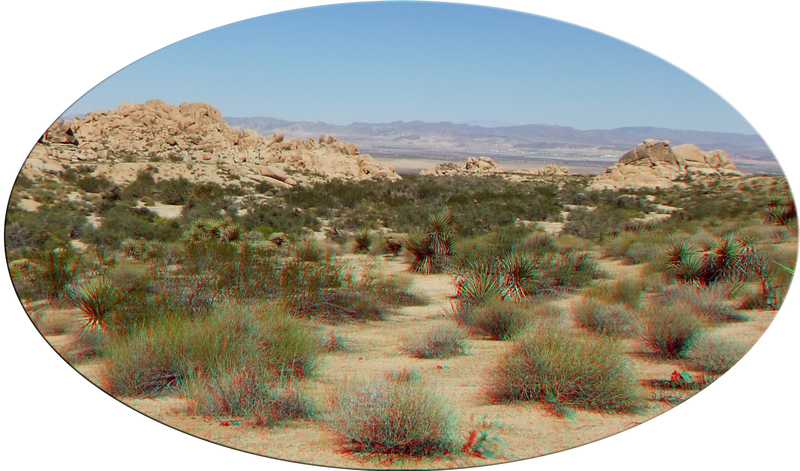 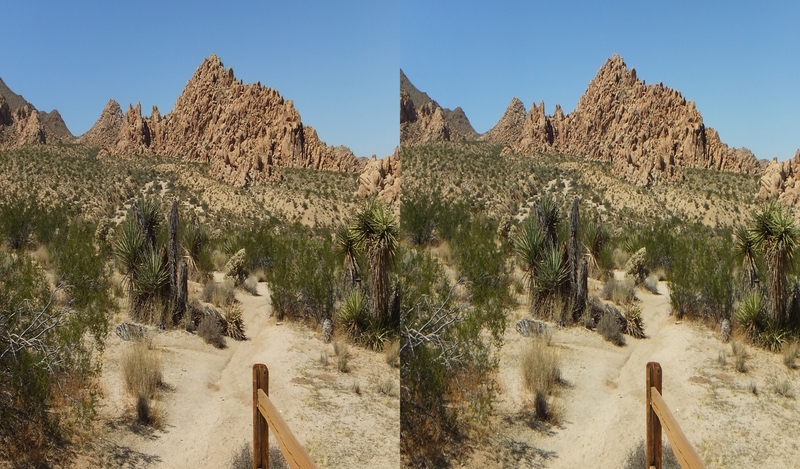 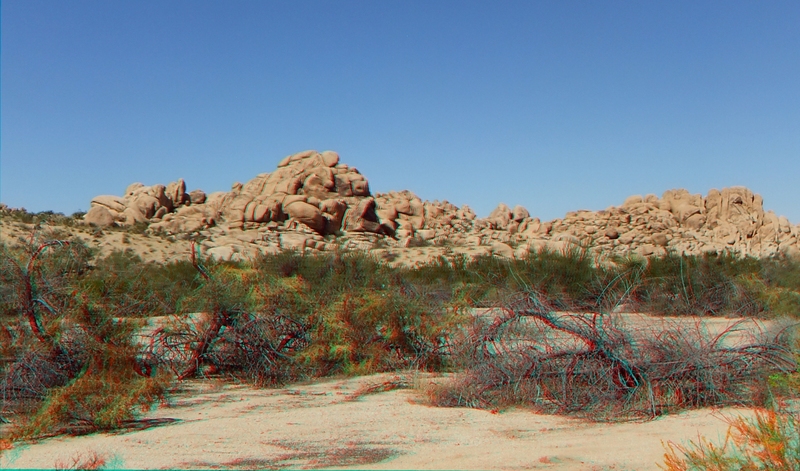 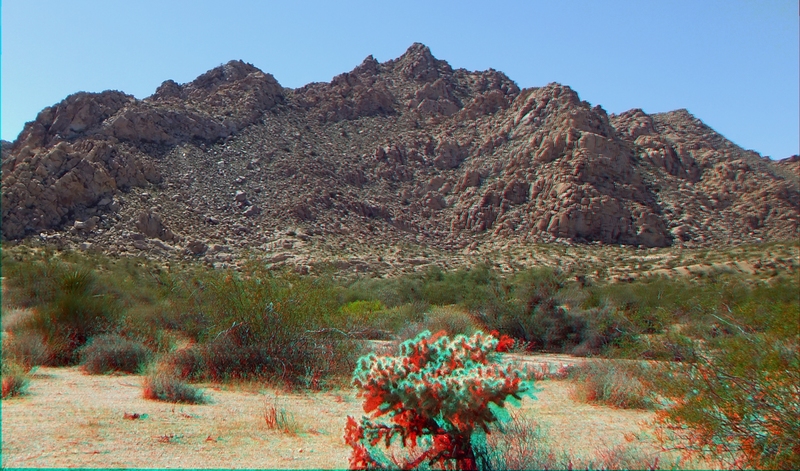 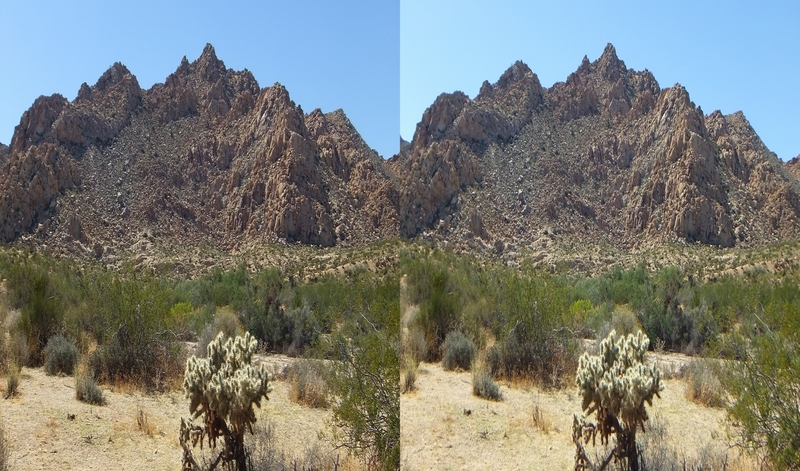 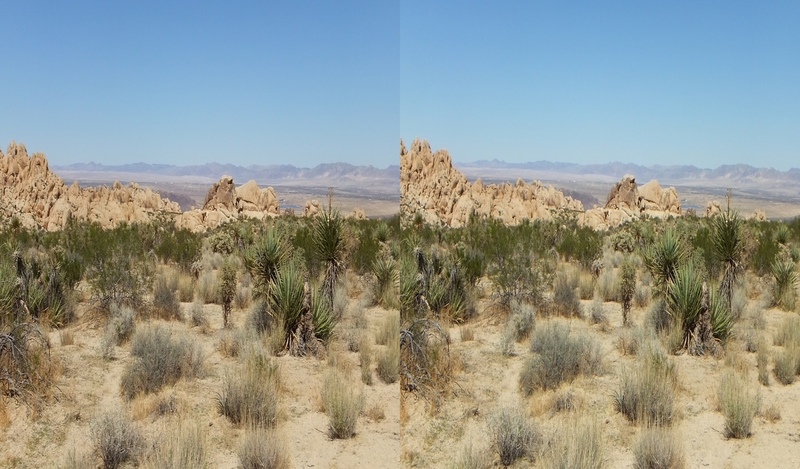 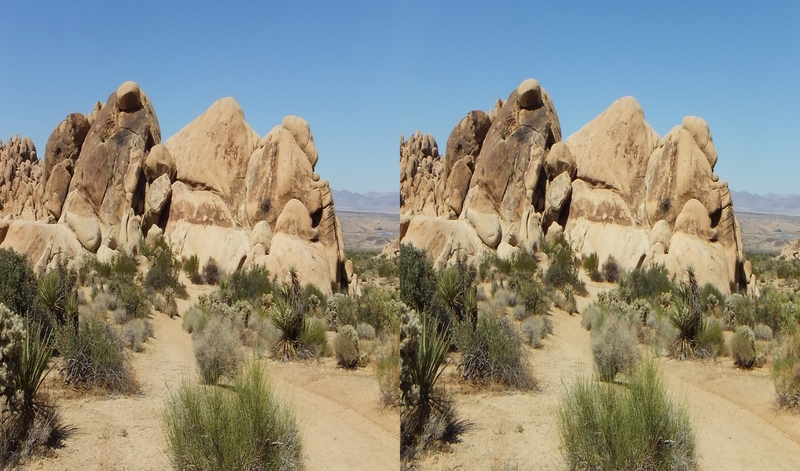 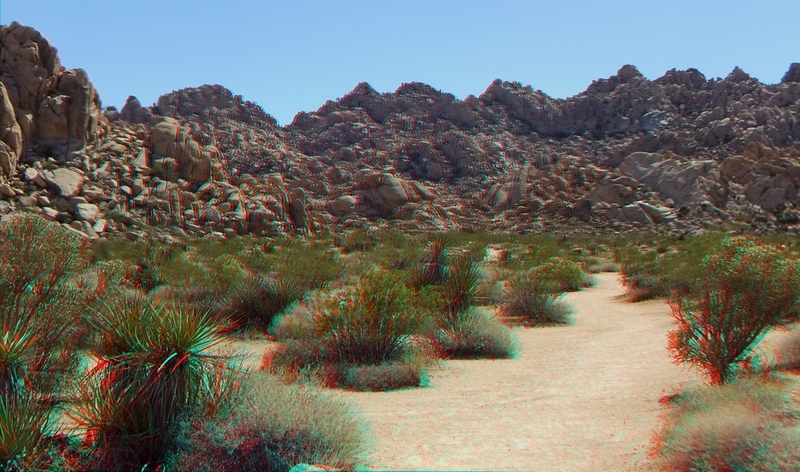 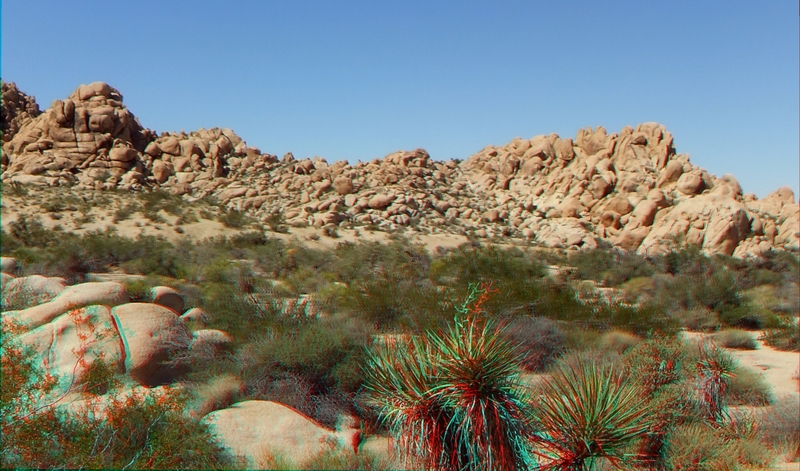 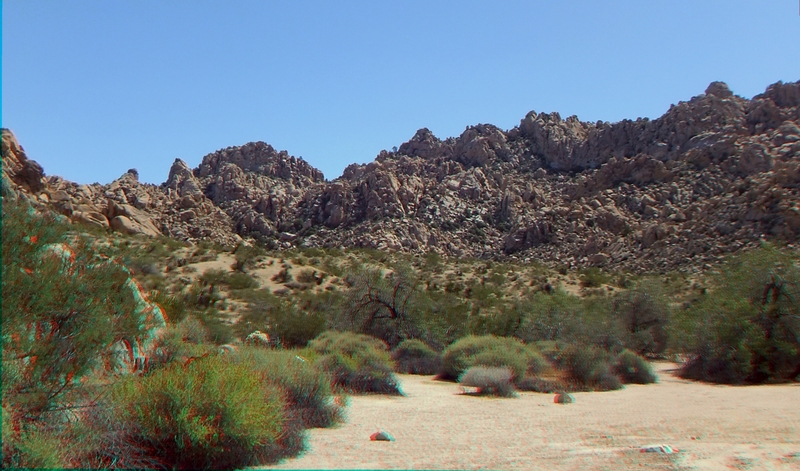 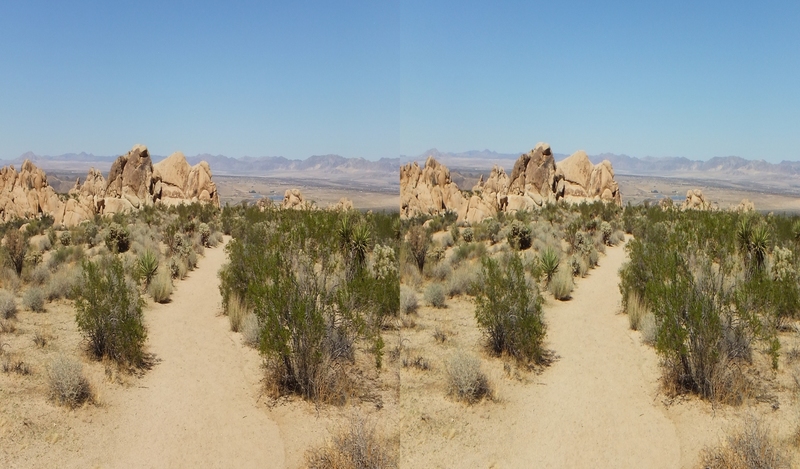 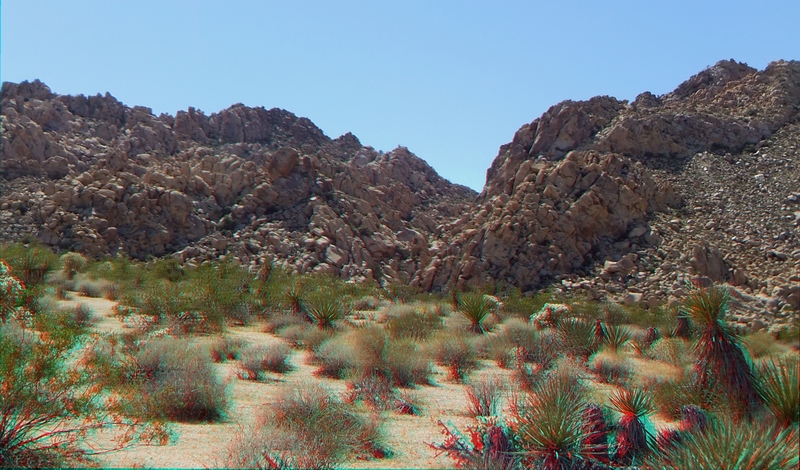 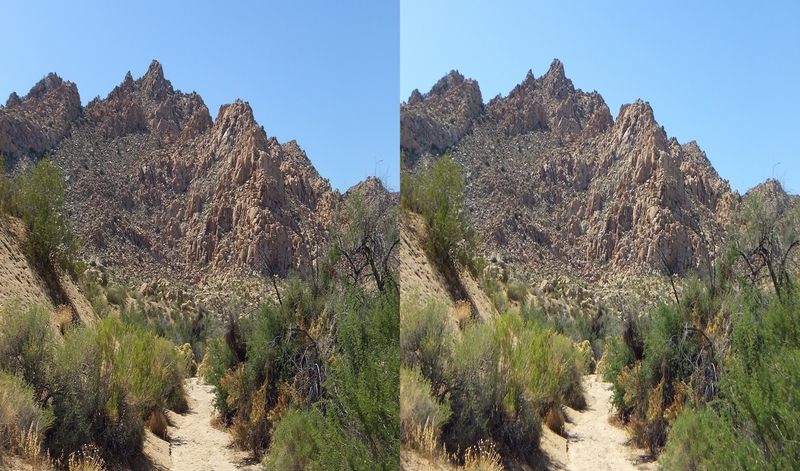 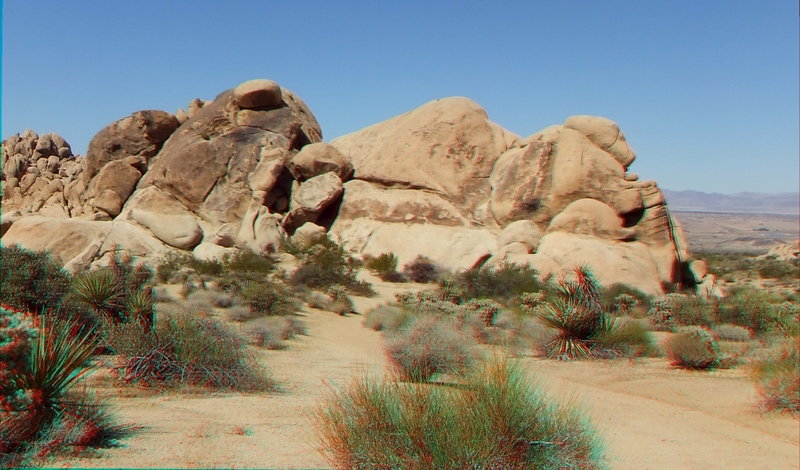 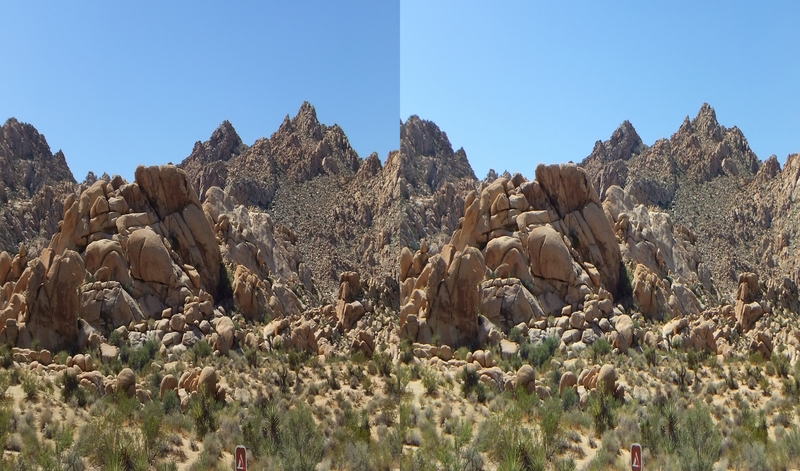 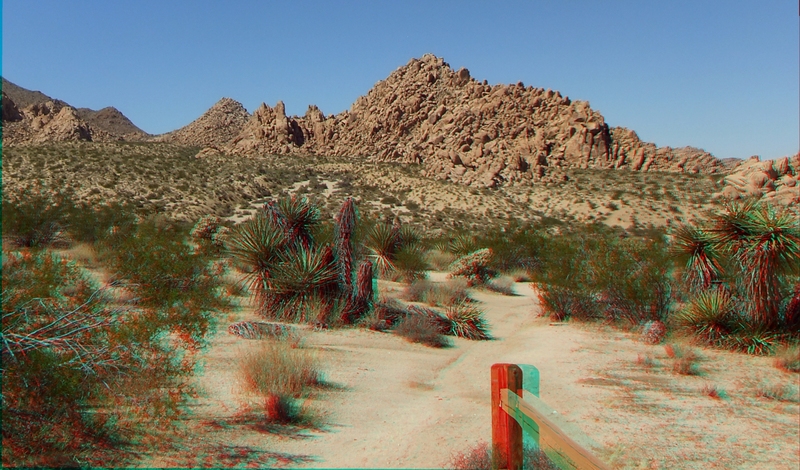 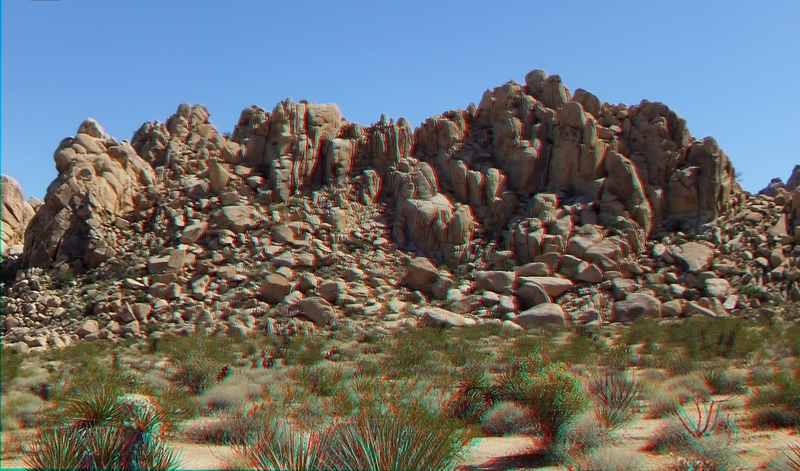 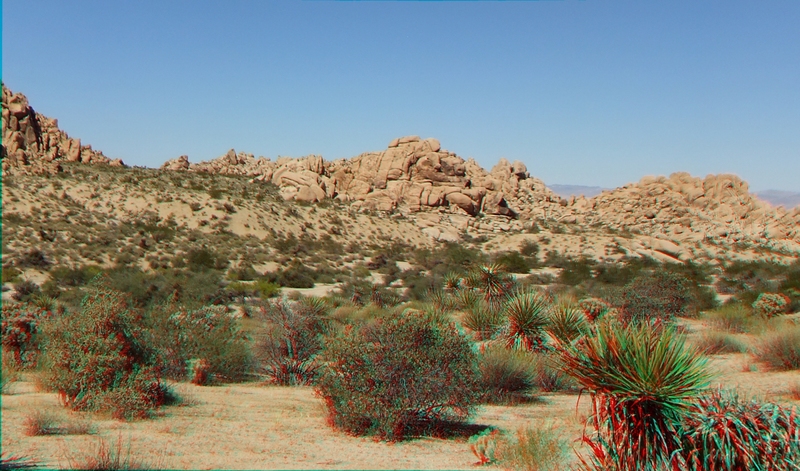 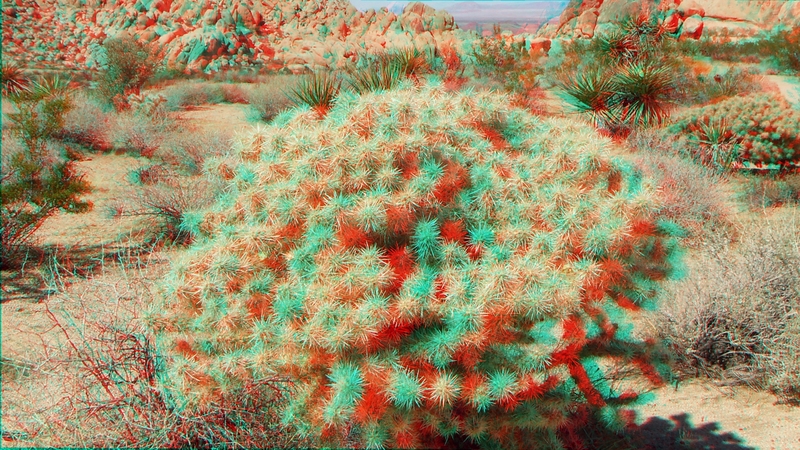 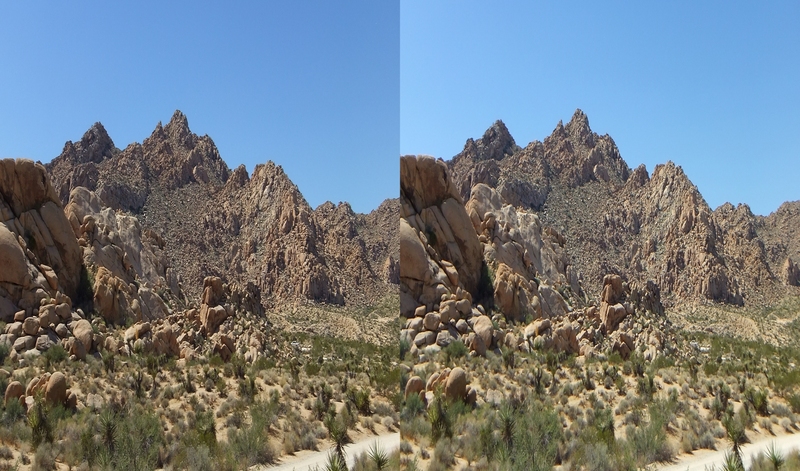 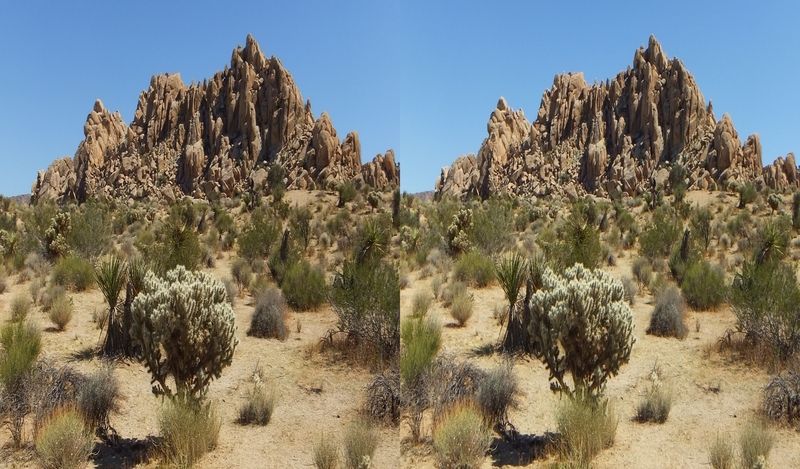 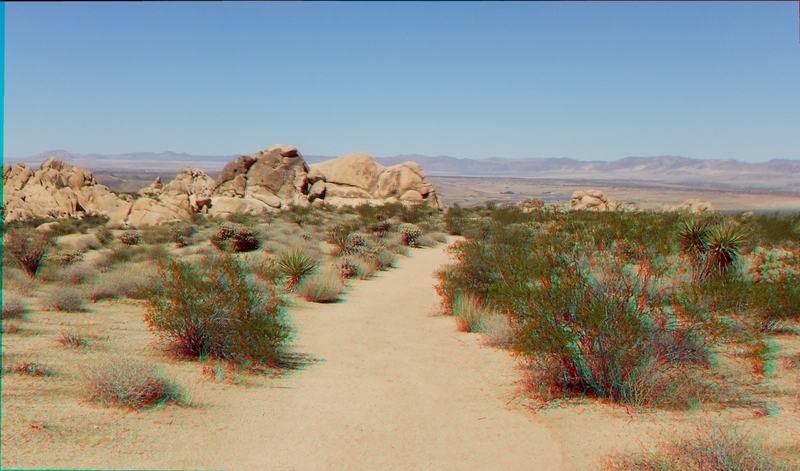 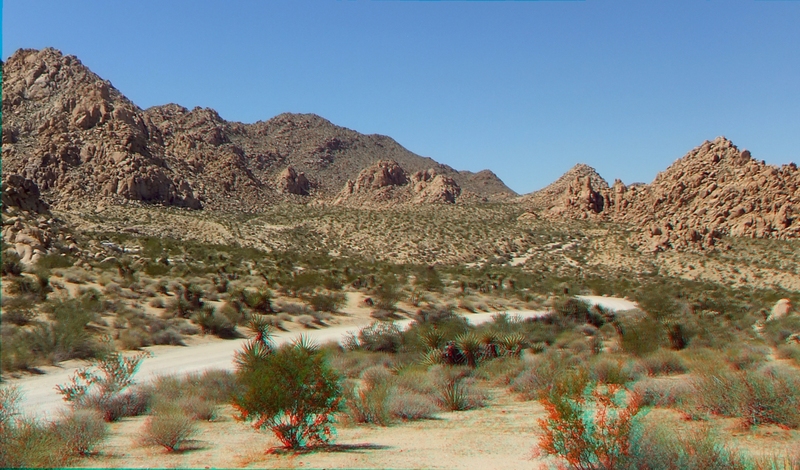 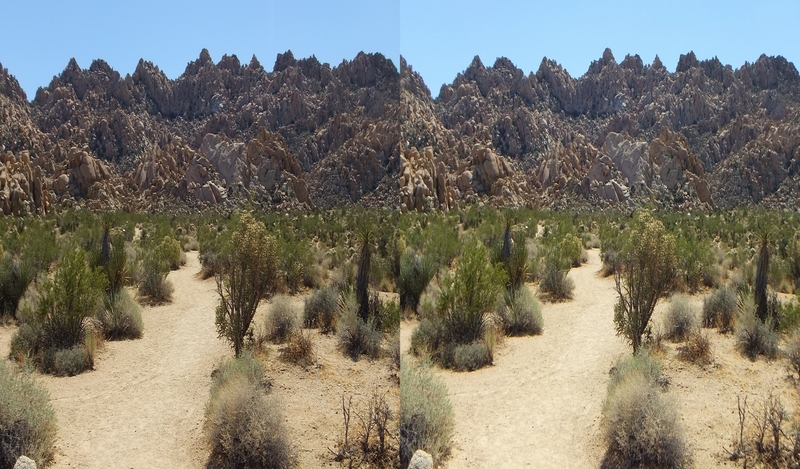 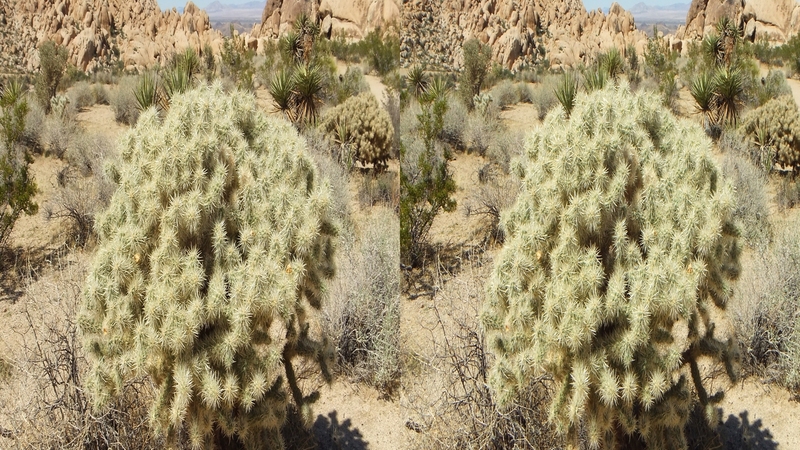 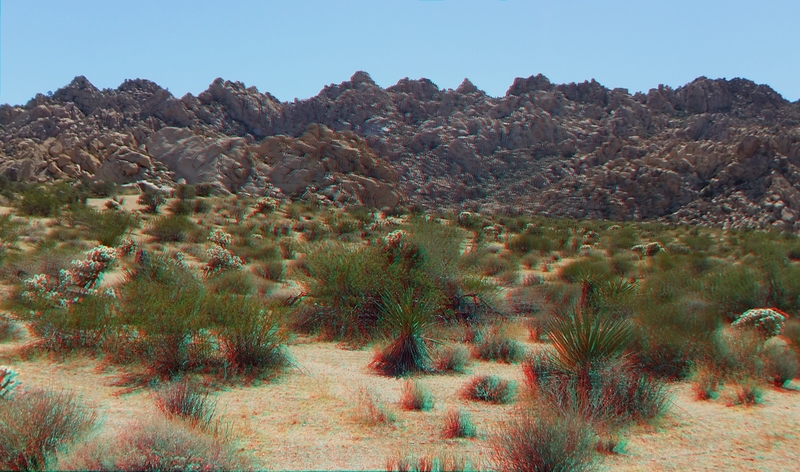 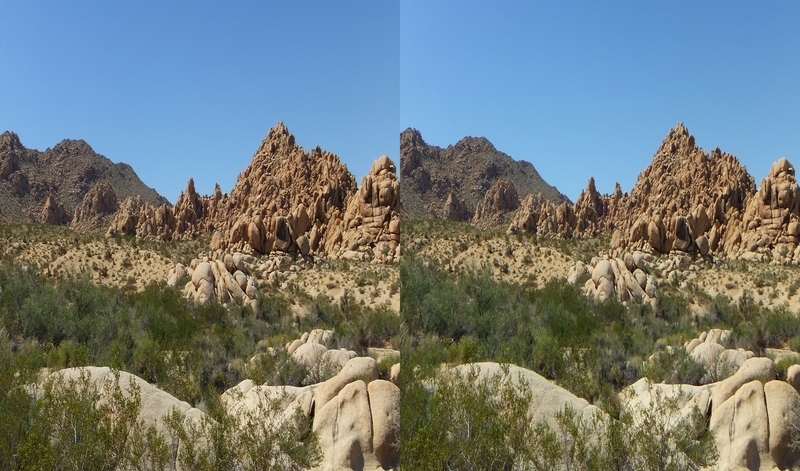 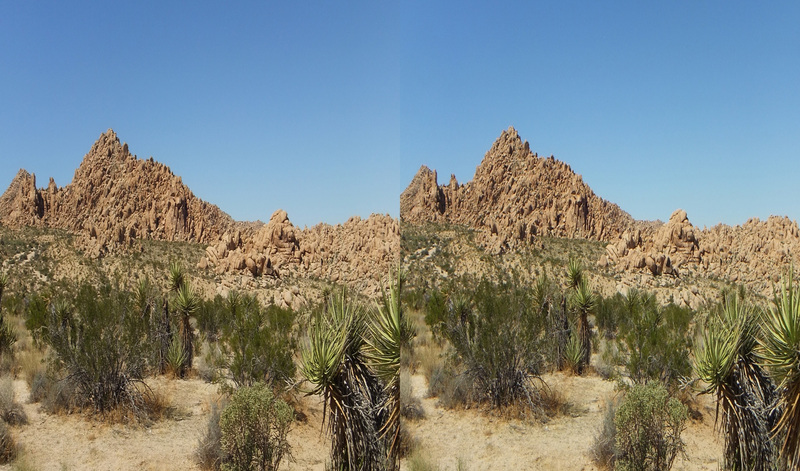 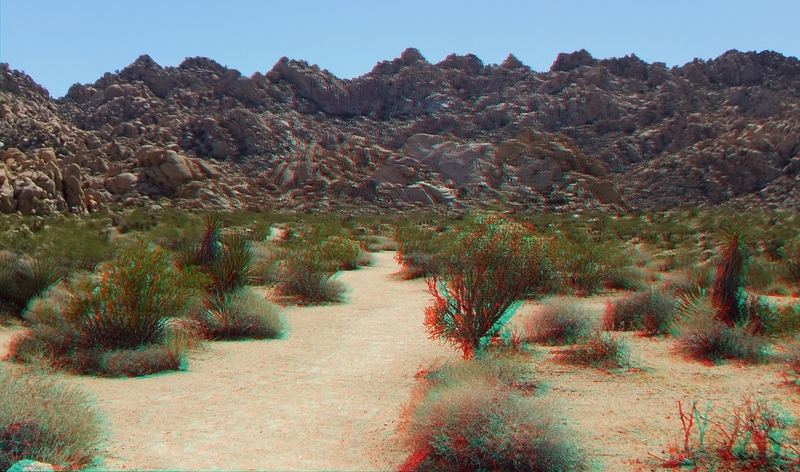 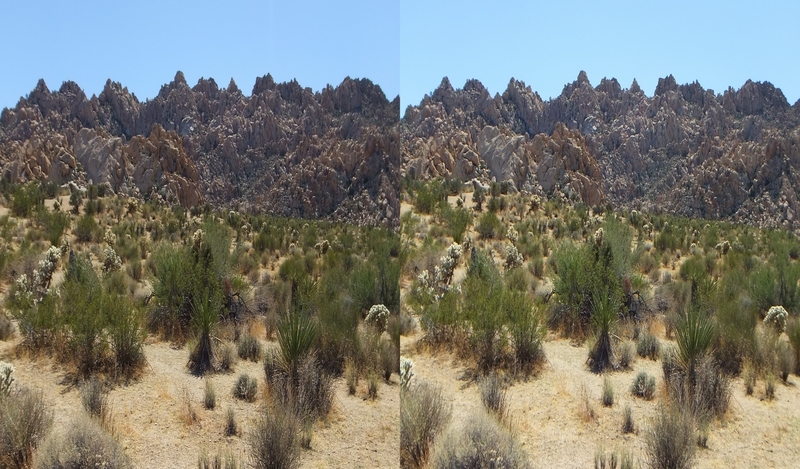 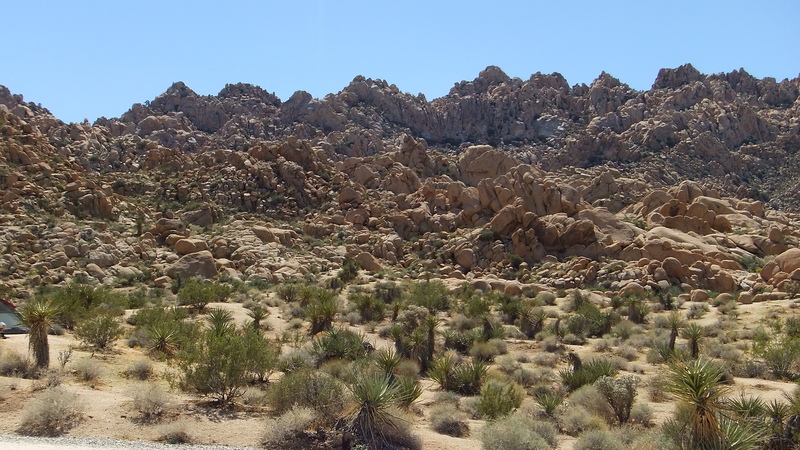 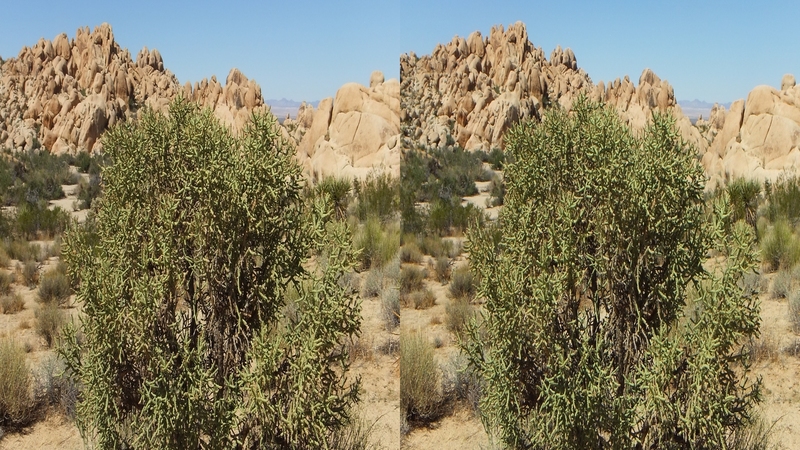 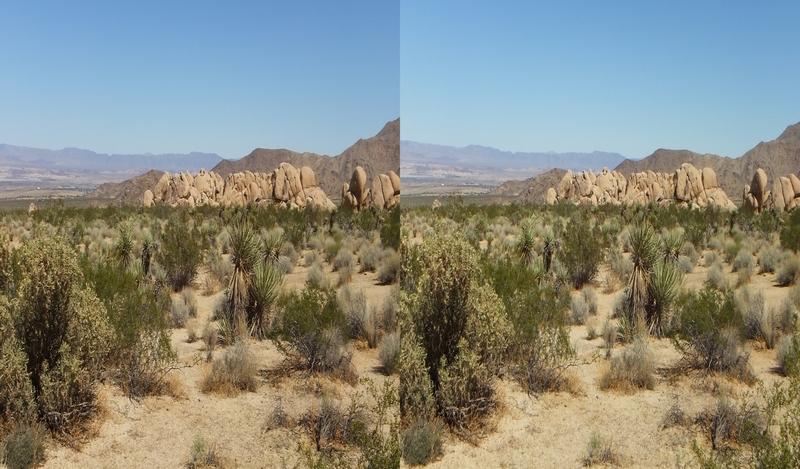 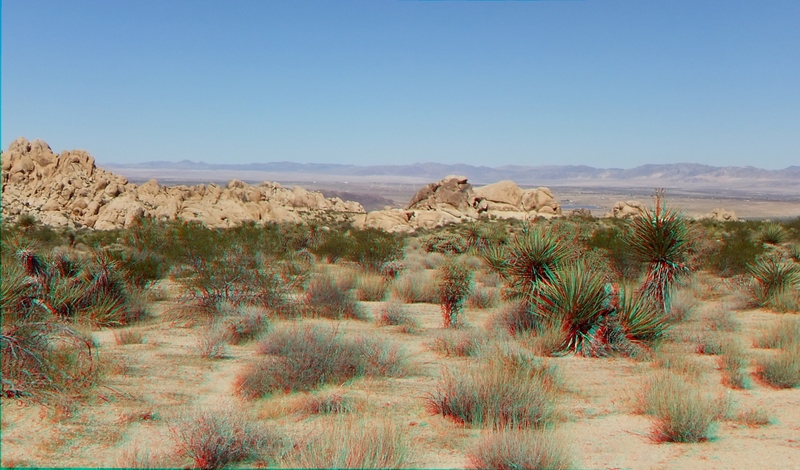 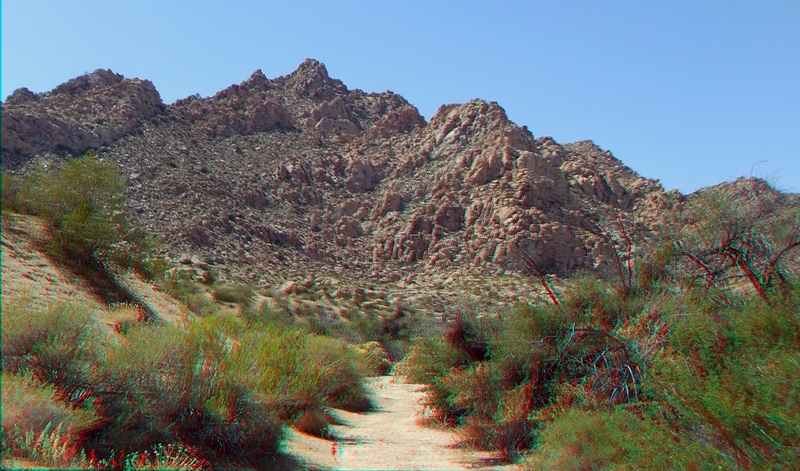 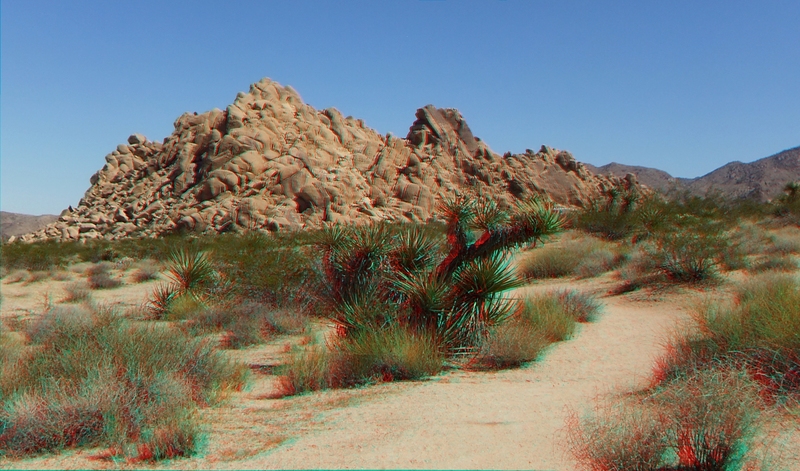 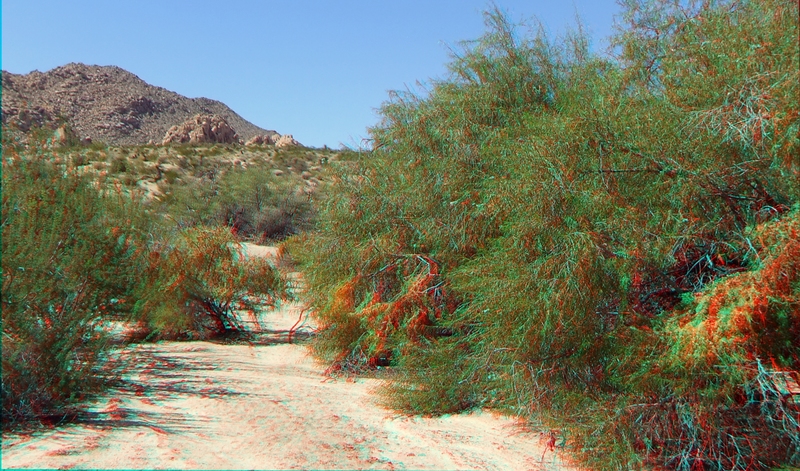 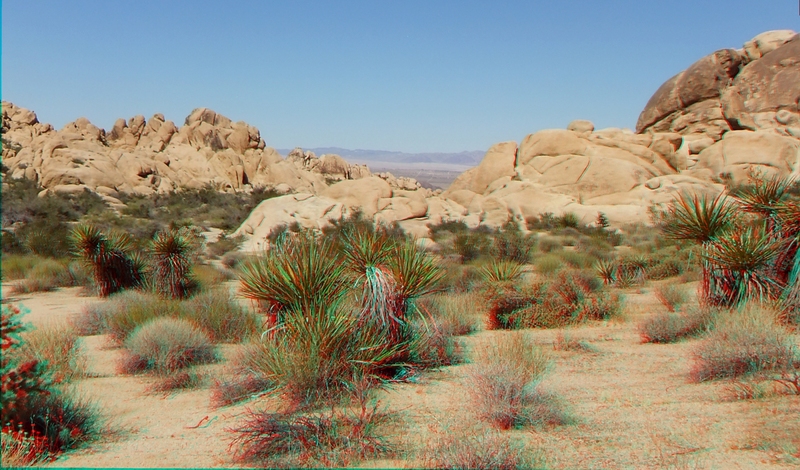 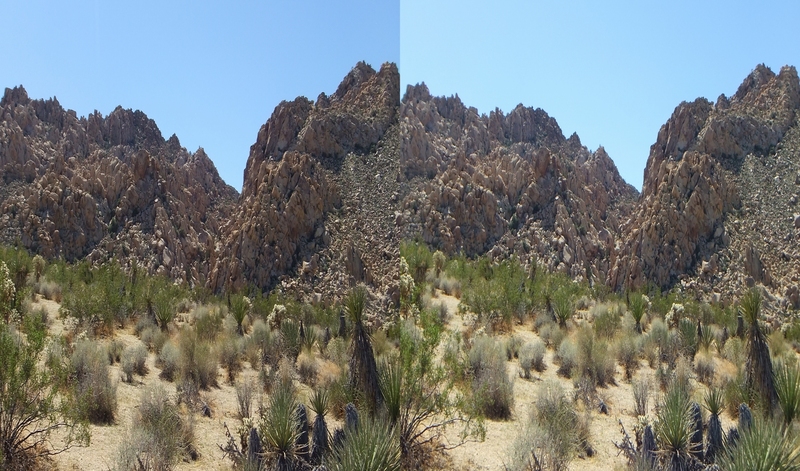 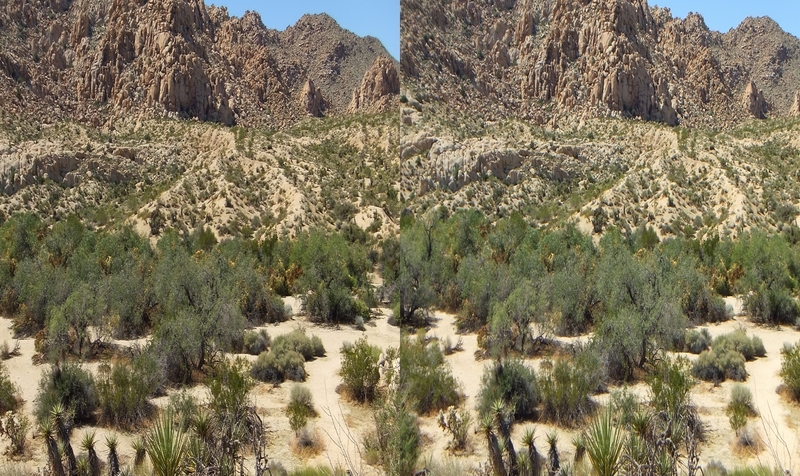 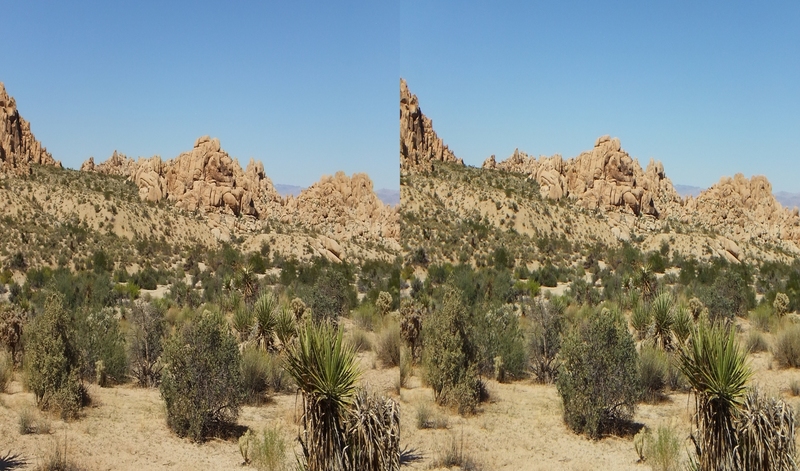 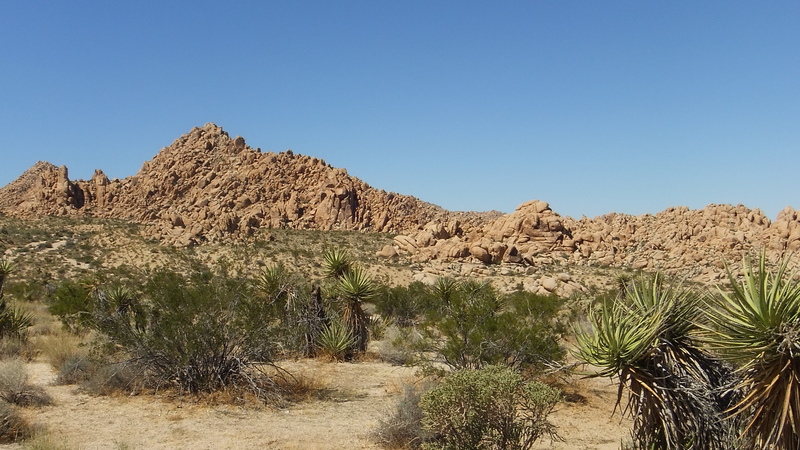 Joshua Tree 3D invites you to view the other 3D galleries in this group.